A healthy meal plan that helps to treat and prevent recurrence of high/low TSH levels. 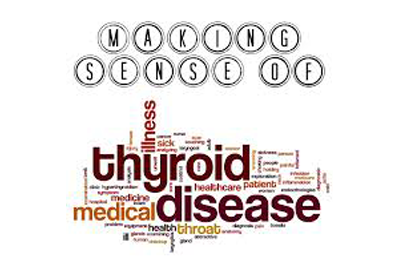 Are you suffering from the Hypothyroid problem and didn’t get permanent solution till date? Then you are at the right place because to end all your worries and problems, Mrs. Neena Luthra is there at Nutrisolution to cure the problem of Hypothyroidism in best possible way. She is one of the famous Dietician for hypo/hyper thyroid patients in Tri City and serving people for more than 15 years. According to her, with regular medication and treatment, it is necessary to follow a restricted diet chart. Hypo/Hyper thyroids is a severe problem to cure, and your food can interfere with your treatment while some nutrients can heavily influence the level of the thyroid hormones, and certain diet can slow down the procedure of replacement hormones that you may take as part of your thyroid treatment. So, to restore the level of normal thyroid, a right or healthy lifestyle can help you a lot. Neena Luthra who is the lifetime member of Indian Dietetic Association and Indian Society for Parental and Eternal Nutrition has a vast experience to cure Hypo thyroid patients by creating personalised and exceptional dietary solutions. She is continuously active in the area of dietary management and research to help people in improving their quality lives. According to Neena Luthra, the condition of “hypothyroidism” doesn’t have to limit or prevent you from following a healthy lifestyle, but you should choose to be vegetarian, eat a high protein food, and avoid food that may cause various allergies. At Nutrisolution, after analysing the current level of the thyroid, medical history of the patient as well as his/her family, she tailors the program to cure the Hyperthyroidism in best possible way. 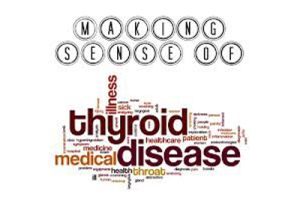 The moral support which is provided by the Neena Luthra a Dietician for hypo/hyper thyroid patients also keeps the patients positive towards their health which helps them in improving their current condition of Hypothyroidism drastically. The thyroid gland is a 2-inch butterfly-shaped organ located at the front of the neck. Though the thyroid is small, it’s a major gland in the endocrine system and affects nearly every organ in the body. It regulates fat and carbohydrate metabolism, respiration, body temperature, brain development, cholesterol levels, the heart and nervous system, blood calcium levels, menstrual cycles, skin integrity. Hypo/Hyper thyroids can be a tricky condition to manage, and what you eat can interfere with your treatment. Some nutrients heavily influence the function of the thyroid gland, and certain foods can inhibit your body’s ability to absorb the replacement hormones you may take as part of your thyroid treatment. Eating smart can help you feel better despite the condition.